Love your skin — Look your best! Our talented Medical & Esthetic staff are here to keep your skin looking radiant & beautiful year round! 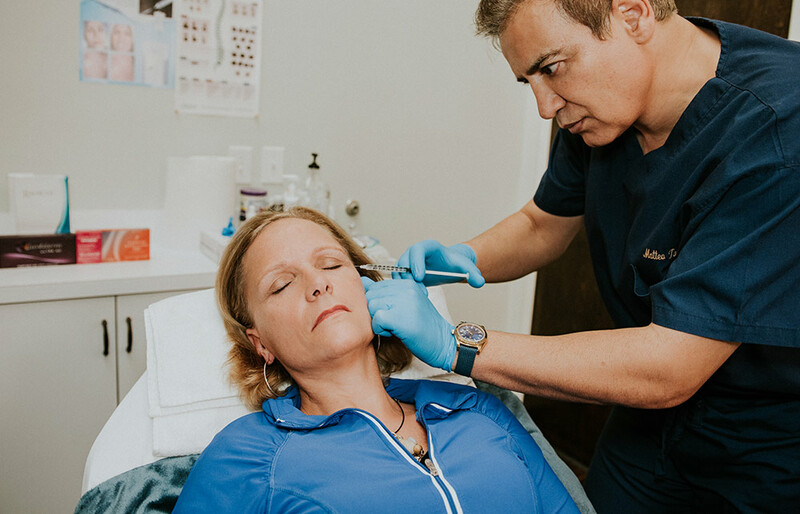 Schedule a consult with our Medical Director or Lead Esthetician to determine which injectables or skincare therapies are best for your Skin Type. Remove wrinkles, smooth your skin, & maintain a youthful appearance! Remove unwanted hair, minimize the appearance of skin blemishes, & enjoy softer skin! Achieve long-lasting, dramatic results for the appearance of your skin with non-invasive & minimally invasive procedures! 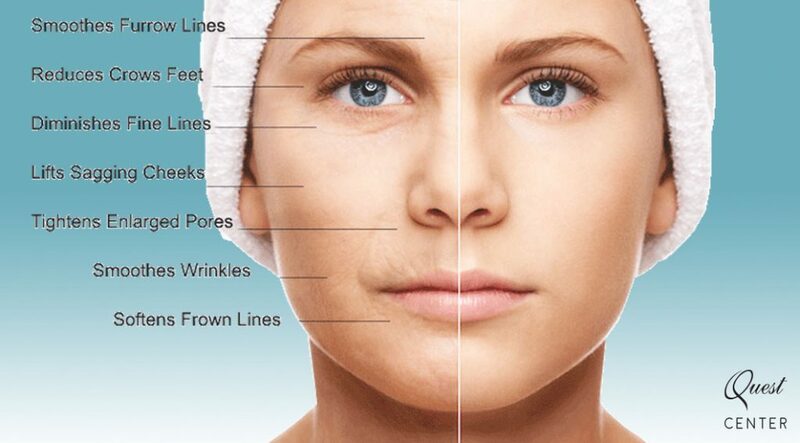 Just about everyone has heard of BOTOX® to treat fine lines and wrinkles of the face. 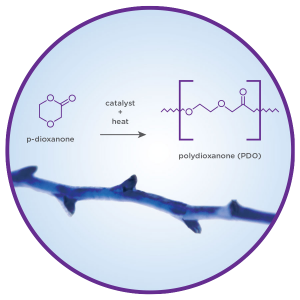 BOTOX® is actually a purified version of a natural protein called Clostridium botulinum. BOTOX® is administered in very small doses and relaxes and smooths deep furrows and lines in the face. In recent years, BOTOX® has become, and the good news is that it is not something reserved for the rich and famous anymore. It is administered as a series of subcutaneous injections, typically in the forehead area of your face. Photos taken at full smile before and after treatment with BOTOX® Cosmetic (onabotulinumtoxinA) at day 7. In 2 clinical studies for moderate to severe crow’s feet, 26.1% and 20.3% of people had ≥ 2-grade improvement at day 30. In one of these studies, 67.9% of people had mild or no crow’s feet at day 30 after treatment. Amazingly, no anesthetic is even required. The procedure is extremely brief and pain-free, and you may resume normal activities as soon as you leave the office. In some cases, you may feel a slight tingling or soreness in the treated area but only for a very short time. The side effects of these treatments are minimal. 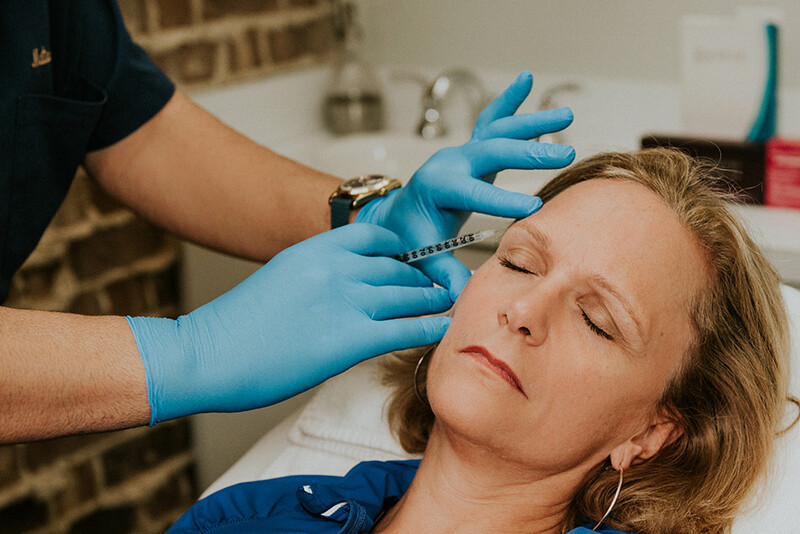 Another good thing about BOTOX® treatments is that they can last up to four months, and the treatments can be repeated as often as necessary as the effects wear off over time. Photos taken at maximum frown before and after treatment with BOTOX® Cosmetic (onabotulinumtoxinA) at day 7. In clinical studies for moderate to severe frown lines, physicians assessed 80% of people had significant improvement at day 30. Side effects associated with the injection include localized pain, infection, inflammation, tenderness, swelling, redness, and/or bleeding/bruising. glabellar lines) have been reported. and product manufacturing processes, it carries an extremely remote risk for transmission of viral diseases. A theoretical risk for transmission of Creutzfeldt-Jakob disease (CJD) also is considered extremely remote. No cases of transmission of viral diseases or CJD have ever been identified for albumin. When you squint or frown, the muscles between your brows contract, causing the skin to furrow and fold. Over time, as your skin ages and loses some of its elasticity, these repeated contractions can cause persistent frown lines. Botulinum toxin type A – the active ingredient in XEOMIN®– acts on nerve endings in muscles to prevent muscle fibers from contracting. By reducing these contractions, XEOMIN® can temporarily reduce the lines on your forehead between your brows. • Problems with swallowing, speaking, or breathing can happen after an injection of XEOMIN if the muscles that you use to breathe and swallow become weak. If these problems are severe, you could die. People with certain breathing problems may need to use muscles in their neck to help them breathe and may be at greater risk for serious breathing problems with XEOMIN. Before you take XEOMIN, tell your doctor about all your medical conditions, including if you have a disease that affects your muscles and nerves (such as amyotrophic lateral sclerosis [ALS or Lou Gehrig’s disease], myasthenia gravis or Lambert-Eaton syndrome), as you may be at increased risk of serious side effects including difficulty swallowing or breathing. Tell your doctor if you have: had any side effect from any other botulinum toxin in the past; breathing problems such as asthma or emphysema; a history of swallowing problems or inhaling food or fluid into your lungs (aspiration); bleeding problems; drooping eyelids; plans to have surgery; had surgery on your face. Also tell your doctor if you are pregnant or plan to become pregnant (it is not known if XEOMIN can harm your unborn baby); are breastfeeding or plan to breastfeed (it is not known if XEOMIN passes into breast milk). Please see Full Prescribing Information and Medication Guide for more information. If you have noticed that your face is developing creases, such as those between the nose and mouth called marionette lines, Juvederm® can help. Juvederm is a facial filler that adds volume to your face, plumping it up and smoothing out lines and creases. Results are immediate and most people are highly pleased with their new and more youthful appearance. You can choose from two forms of Juvederm: Juvederm® Ultra — for recontouring and plumping facial folds and wrinkles; and Juvederm® Ultra Plus – a stronger formulation for smoothing deeper folds and wrinkles. Our physician and R.N. will examine your skin and help you choose the most appropriate type of Juvederm. Results are instant. Juvederm is the type of cosmetic treatment often called a “lunchtime” treatment because you can immediately return to your normal activities. One treatment is usually enough to give you excellent smoothing, and the results can last as long as 12 months. You can have periodic touch-up treatments to maintain the results. Juvederm was approved by the FDA in 2006 for treating facial folds and wrinkles. It is made by Allergan, Inc., the same company that makes BOTOX® Cosmetic. If you would like to have a personal consultation and learn more about Juvederm, please call or email us today. JUVÉDERM® XC injectable gels (JUVÉDERM® Ultra XC and JUVÉDERM® Ultra Plus XC) are indicated for injection into the mid-to-deep dermis for correction of moderate to severe facial wrinkles and folds (such as nasolabial folds). Patients may experience late onset adverse events with use of dermal fillers, including JUVÉDERMVOLBELLA® XCADVERSE EVENTSThe most commonly reported side effects for JUVÉDERM® injectable gels were temporary injection-site redness, swelling, pain/tenderness, firmness, lumps/bumps, bruising, discoloration, and itching. For JUVÉDERM VOLBELLA® XC, dryness was also reported. For JUVÉDERM® Ultra XC or JUVÉDERM® Ultra Plus XC, side effects were mostly mild or moderate in severity, with a duration of 14 days or less; for JUVÉDERM VOLUMA® XC, they were predominantly moderate in severity, with a duration of 2 to 4 weeks; and for JUVÉDERM VOLBELLA® XC, they were predominantly mild or moderate, with a duration of 30 days or less.To report an adverse reaction with JUVÉDERM® Ultra XC, JUVÉDERM® Ultra Plus XC, JUVÉDERM VOLUMA® XC, or JUVÉDERM VOLBELLA® XC, please call Allergan at 1-800-433-8871. Please also visit JuvedermDFU.com for more information.JUVÉDERM® Ultra XC, JUVÉDERM® Ultra Plus XC, JUVÉDERM VOLUMA® XC, and JUVÉDERM VOLBELLA® XC injectable gels are available by prescription only. As you age, the cheek area loses its youthful shape. The cheeks flatten out and the skin may begin to sag. JUVÉDERM VOLUMA® XC injectable gel is designed to temporarily reverse these signs of aging. It is a gel that is specifically injected into the cheek area to lift the skin. It temporarily adds volume to the cheek area and results in a smoother contour and more youthful appearance to the face. It is injected into the cheek area using a small needle. It temporarily corrects volume in the cheek area and gives the appearance of a more youthful, smoother skin surface. Many cosmetic enhancements to your face and upper body are minimally invasive and do not require extensive surgery. Injectable fillers like Radiesse are frequently used to fill in spaces underneath deep folds and wrinkles in order to smooth them away. These products are made out of naturally occurring sugar molecules known as hyaluronic acid and are well received by the body. Radiesse can also be used to give you fuller and shapelier lips. Hyaluronic acid based fillers work especially well because they attract up to 1000 times the original volume in water, keeping the area fuller for much longer periods. Since the fillers are not made with animal byproducts, no allergic skin testing is required; you can usually enjoy the benefits of these fillers right away. This dermal filler is made of calcium-based microspheres that are suspended in a water-based gel. The chemical makeup of Radiesse actually stimulates your body to produce more collagen, enhancing the benefits of this filler even more. Unlike other dermal fillers, it continues to work over time. RADIESSE® and RADIESSE® (+) are dermal fillers that are used for smoothing moderate to severe facial wrinkles and folds, such as nasolabial folds (the creases that extend from the corner of your nose to the corner of your mouth). Who should not use RADIESSE® or RADIESSE® (+)? You should not use RADIESSE® or RADIESSE® (+) if you have an allergy to any component of the product, if you have a history of severe allergies, if you have a bleeding disorder, or if you are pregnant or breastfeeding. You should not use RADIESSE® (+) if you have an allergy to lidocaine or medicines like it. What is the most important information I should know about RADIESSE® and RADIESSE® (+)? As with all procedures that involve an injection through the skin, there is a risk of infection. Do not use RADIESSE® or RADIESSE® (+) if you have a skin infection until it has healed. It is not known if RADIESSE® or RADIESSE® (+) is safe or effective in the lips, or in the area around the eyes. The microspheres in RADIESSE® and RADIESSE® (+) can be seen in X-rays and CT Scans. It is very important that you tell your health care provider that you have had RADIESSE® or RADIESSE® (+) dermal filler injected into your face. If you have a history of herpes, you may experience a herpes breakout after receiving RADIESSE® or RADIESSE® (+). What should I tell my doctor before using RADIESSE® or RADIESSE® (+)? Tell your health care provider if you are taking blood thinners or medicines that can interfere with the clotting of blood, such as aspirin or warfarin. These medicines might make it more likely that you will experience bruising or bleeding at the injection site. Tell your health care provider if you have a history of forming large, raised scars or if you have had any other skin treatments such as skin peels. What are the most common adverse events with RADIESSE® or RADIESSE® (+)? The most common adverse events seen in clinical studies of RADIESSE® or RADIESSE® (+) include bruising, redness, swelling, pain, itching and other local side effects. These are not all of the possible side effects with RADIESSE® or RADIESSE® (+). Merz collects information about adverse events seen with RADIESSE® and RADIESSE® (+) post- approval. These events are included in the RADIESSE® and RADIESSE® (+) Patient Information Guide based on an assessment of seriousness and potential causal relationship to RADIESSE® or RADIESSE® (+). Please see the Patient Information Guide available at www.Radiesse.com for a list of these events. Tell your health care provider about any side effects that bother you or do not go away. RADIESSE® and RADIESSE® (+) are available by prescription only. 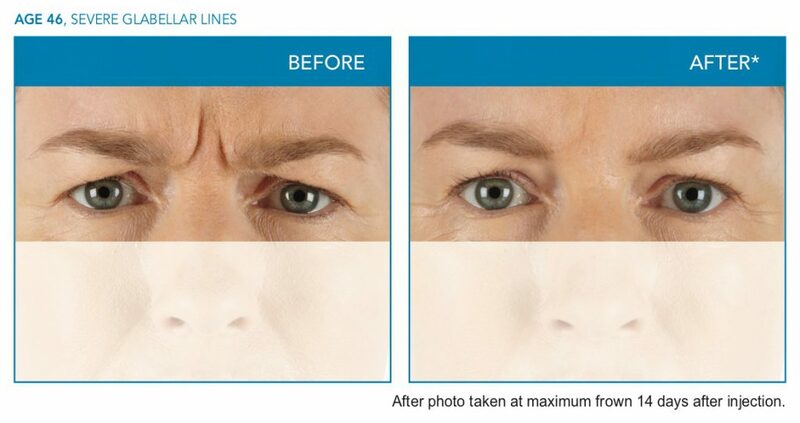 Restylane® helps to visibly correct moderate to severe facial wrinkles and folds, including the lines that run from your nose toward the corners of your mouth (nasolabial folds) and the lines that run from the corners of your mouth toward the chin (marionette lines). The Restylane family of products includes Restylane®, Restylane-L®, Restylane® Lyft with Lidocaine, Restylane® Silk, Restylane® Refyne, and Restylane® Defyne. To report a side effect with any of the Restylane products, please call Galderma Laboratories, L.P at 1-855-425-8722. The Restylane family of products is available only through a licensed practitioner. View Complete Instructions for Use. An IPL procedure utilizes an intense beam of broad-spectrum light to target the lower layers of the skin. The procedure stimulates collagen growth while removing damaged and photo-aged skin. 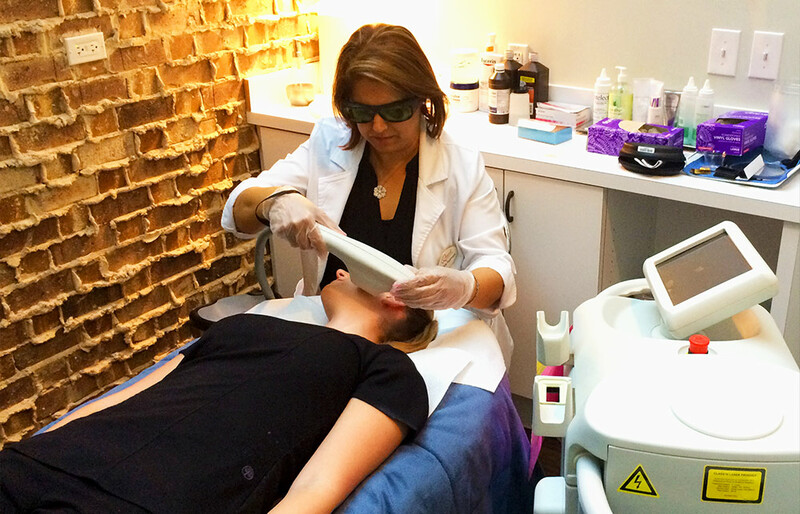 IPL™ photo rejuvenation therapy can improve the color, firmness, and texture of the skin all at once. Laser skin tightening is a non-surgical procedure that uses a laser to tighten skin by heating the collagen under the skin’s surface. Facial skin tightening results are noticeable immediately after the treatment, and can last for several days after the initial procedure. Additional skin tightening occurs over the next few weeks. Optimal results usually require three or more treatments about a month apart. With the regeneration of natural collagen, laser skin tightening patients immediately begin to notice smoother, softer skin and a more youthful appearance. The effects continue to improve over the next few months following laser skin tightening treatment, as the skin’s natural stores of collagen are gradually replenished. Sun spots, which include: age spots, liver spots, freckles, solar lentigines, and other lesions resulting from solar damage are removed via laser treatment. Sun spots develop due to overexposure to the sun and become more common and noticeable later in life. The darker pigment is broken down by the laser and reabsorbed into the skin. Over the next few days you will notice an improvement in skin appearance as remaining pigment continues to flake and fall off. Spider Veins are small veins close to the skin’s surface and their shape is often compared to a “spider web”. Spider veins are generally the result of weakened blood vessels due to aging, they are generally a cosmetic skin concern and should not cause pain or long-term heath problems. Heat energy from the laser is focused on the vein causing it to collapse and prevent new blood from entering the vein, causing it to fade. Laser vein removal requires no downtime and can be used for legs or for the face as the laser can also directly target delicate facial vascular veins. A consultation with a member of our Aesthetic & Medical Staff is required prior to the procedure to determine a treatment plan which achieves your goals and delivers the best results. Acne and the long-lasting scars that can result have the potential to negatively impact a person’s self confidence and their enjoyment of life. Laser treatment can reduce or eliminate Pigment irregularities and improve the appearance of scars. The procedure works by targeting the overactive oil gland causing the blemish with the IPL machine, the pulses of light shut down the gland and stop oil from being produced allowing the skin area to heal more rapidly. The procedure itself is usually less than an hour long, with most patients able to continue their normal schedule, as long as direct, prolonged sun exposure is avoided for 3 to 4 days. Minor side effects like swelling or redness are possible, but usually disappear fairly rapidly. Tired of shaving and waxing unwanted body hair? Laser hair removal works by targeting the root cause of the hair: the follicle itself! Heat is directed at specific hair follicles, shutting down the production of hair by shrinking the opening of the follicle, preventing hair from growing back with the same thickness. Best results are seen from undergoing multiple procedures over a period of a few months. The follicles within the treated area are completely shut down or partially closed, so any hair that continues to grow in the treated area will be finer in texture and easier to eliminate with periodic maintenance. Microdermabrasion is a non-invasive procedure that is chemical-free. A spray of microcrystals is used to remove the outermost layer of old, dry skin cells and leave skin looking younger and healthier. Microdermabrasion encourages the production of a new layer of skin cells with higher levels of elastin and collagen, further improving the skin’s appearance. Microdermabrasion is much gentler than dermabrasion. Dermabrasion is an intensive procedure used to treat deep facial lines, extreme sun damage, and scars. Those with wrinkles, age spots, sun-damage, uneven skin pigmentation, clogged pores, skin texture problems, or minor scars are candidates for microdermabrasion. Patients dealing with rosacea or acne may also benefit from microdermabrasion treatments. 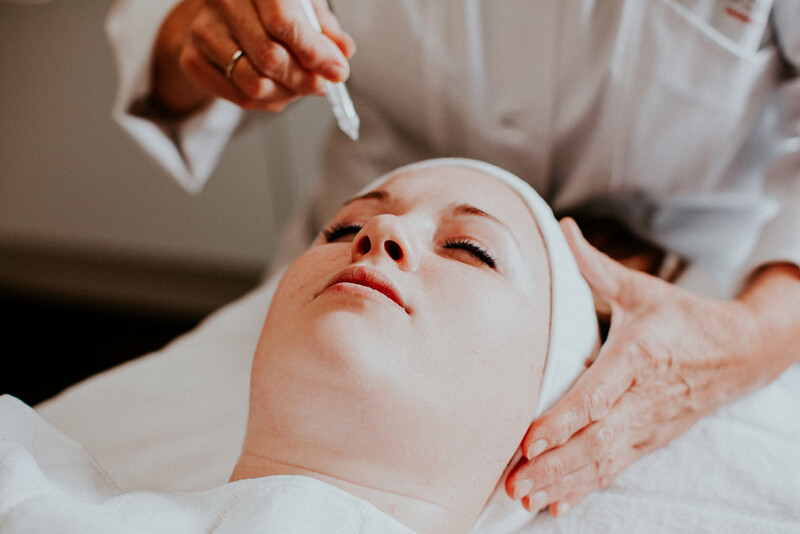 The gentle micro crystal spray can improve skin imperfections and conditions by removing the upper layer of dead and damaged skin cells to reveal the new, fresh skin beneath. If signs of Hair Loss or Pattern Baldness have started to appear, it is time to take action! 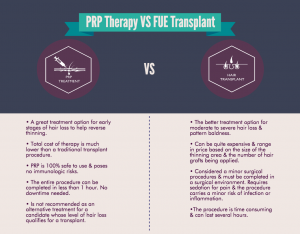 PRP treatments are now being offered at Quest Center to help combat the early stages of hair loss. The procedure is safe, natural, & does not require surgery. A great Hair-regrowth option for both men & women dealing with the early stages of hair loss, or those who do not yet qualify for a traditional Hair Transplant. Or click the “Make Appointment” button in the top left corner, Fill out the form on the left side of the page with your contact information & a brief description of your hair-regrowth goals. Please select “Aesthetic Procedures” As the Department. 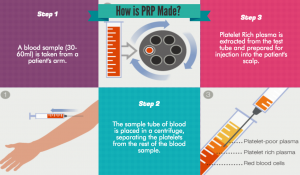 Soon our “Online Booking” system will allow you to schedule your initial ‘PRP’ consultation directly through the site! Are you ready for the next generation of Anti-Aging Therapy? Quest Center is now offering Platelet Rich Plasma (PRP) Injections for Skin Rejuvenation to help combat the visible signs of aging & skin deterioration! 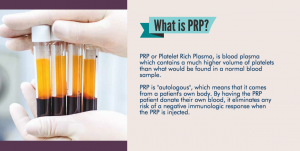 The procedure involves injecting the PRP into the damaged areas of the skin to restore a full & youthful appearance to the skin area. The treatment is safe, natural, & does not require surgery. These skin rejuvenation treatments can be used in conjunction with other therapies to enhance your results such as Microneedling or fillers & injectables such as Juvederm or Botox. Your esthetician will be able to make the proper recommendations based on your skin’s unique profile & your personal result goals! In medical terms “Selective Inflammatory Response”, it is the principle behind a lot of aesthetic procedures (such as Fractional Laser, Chemical Peels & MicroNeedling). Our skin is very good at repairing itself, and by inserting NOVATHREADS we make it heal itself by creating new collagen, naturally! It’s “controlled healing” happening underneath the skin! The first one, called the NuMesh, consists of creating a mesh under the skin (i.e. 2 sutures inserted vertically & 3 sutures horizontally). Sort of like a #hashtag, or a net. This Mesh will serve as the foundation for our new collagen production. The NuMesh tightens the skin naturally from within. Results appear naturally, without any drastic change! The other technique, called the NuLift is utilized to produce a more dramatic and immediate result. The PDO sutures have “barbs&rdquo or “cogs”, which provide a grip underneath the skin. Sutures are inserted the same way, except they can be pulled in 1 or 2 directions, creating an instant skin repositioning. Just like the NuMesh, the skin will then build new collagen which will secure the lift! The NovaThreads are needles that are pre-loaded with a PDO thread. Simply insert the whole needle in the interstitial tissue at subdermal level, parallel to the surface of the skin, & pull the needle out. The PDO thread remains under the skin. A beautiful and healthy face has a “V-shape”. With the ageing of tissues and the action of gravity, this “V-shape” diminishes or inverts. The idea behind the Nu-Mesh and the Nu-Lift technique is to either create a scaffolding in order to support the tissues and keep them in the “V-shape” or where necessary to delicately lift the tissues and reposition the skin to recreate the “V-shape&rdquo where it’s been lost. Although NOVATHREADS can be inserted almost anywhere, one area where they are especially effective is the neck and jawline. The lower third of the face is challenging to treat effectively with botulinum toxin or injectable fillers, which are most effective in the upper and middle third of the face, respectively. Or click the “Make Appointment” button in the top left corner, Fill out the form on the left side of the page with your contact information & a brief description of your goals. Soon our “Online Booking” system will allow you to schedule your initial ‘NovaThreads’ consultation directly through the site! Sclerotherapy is a minimally invasive procedure which helps to reduce & eliminate the visible appearance of varicose veins and spider veins. By injecting the targeted vein with a mild irritant, usually a salt solution, resulting in the blood vessel collapsing and causing the blood to clot. Bruising at the injection site, commonly fades after treatment. Itchiness at treated skin areas, subsides soon after treatment. Lumps in the treated area. Check with your Doctor if this occurs in order to confirm it fits within the expected range of temporary after effects. This could indicate a more serious side effect, if medical follow-up is necessary your Doctor may choose to drain the effected area with a small pinprick. All of our vein injectors are fully certified & have extensive past experience performing this procedure. If the injected irritant misses the vein, scarring can occur–this is why seeing a certified professional is so important. In recent years Microneedling procedures have gained popularity as both stand alone anti-aging treatments & are commonly used to increase the effectiveness of other complementary anti-aging treatments such as PRP Skin Rejuvenation & Skin Tightening. Microneedling treatments are commonly recommended to improve skin conditions like: wrinkles, sagging-skin, acne scars, large pores, stretch marks, and hyper pigmentation. During the Microneedling procedure an anesthetic will be topically applied to the skin areas which will be impacted by the dermal pen tool. As the Dermal Pen passes over the Skin, tiny needles make rows of micro-punctures which trigger the body’s natural healing processes & increase collagen production levels causing the skin to appear fuller and more youthful. Depending on your skin’s level of sensitivity, Collagen enhancing serums or creams might also be applied to increase the effectiveness of your treatment. Cosmetic microneedling impacts the skin to a depth of 0.4mm or less. This treatment option is defined by the number of micro-punctures made into the skin. This penetrates the skin to a point which triggers the body’s natural healing response & activates the early stages of collagen production. Its primarily recommended to enhance the effectiveness of an in-home skincare regiment & allow for greater absorption of serums & product. 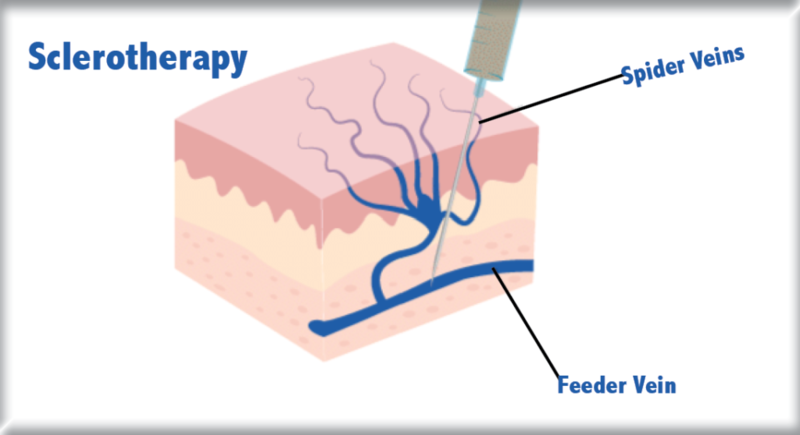 Medical Microneedling impacts the skin between depths of 0.5mm to 2.5mm. The treatment’s primary function is to assist in superficial remodeling & to approve the appearance of the skin, causing a rejuvenation effect. Medical Microneedling is commonly recommended in the treatment of moderate wrinkles/ sun damage & to improve the skin’s quality/ elasticity.